As I mentioned yesterday, the Sigil Daily Tumblr page has quite a few followers who fall into the LGBTIQ spectrum. 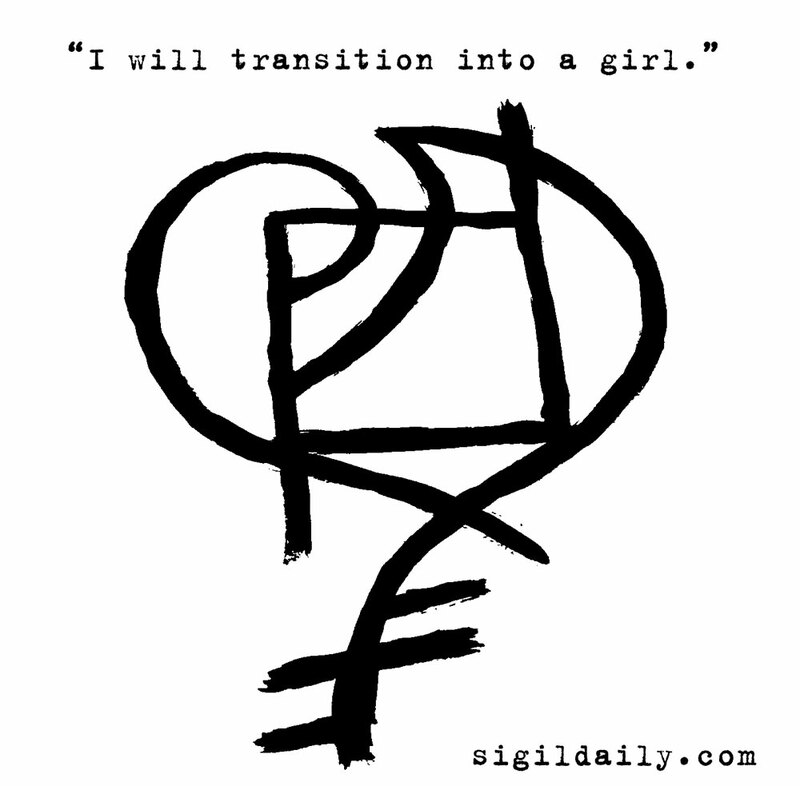 One of those followers asked for a sigil for transitioning from female to male, and I was happy to help. There’s a flip side to this equation, of course, hence the need for a sigil for males transitioning into females. For anyone out there going through that mind-bogglingly intense process, stay strong. And here’s a sigil, just for you.